MAKE THE DIFFERENCE!Be a partner in Jewish life downtown. Your gift allows us to share the beauty and depth of Judaism. Contributions are tax exempt. Donate Today! 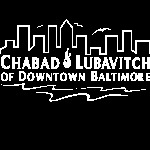 CHAI CLUBJoin the Chai Club of individuals committed to supporting Chabad's work in our community by making monthly donations in multiples of $18! You can make the difference! Join Now! First Name Last Name Email Address news, events, humor & magazine. All in your inbox!